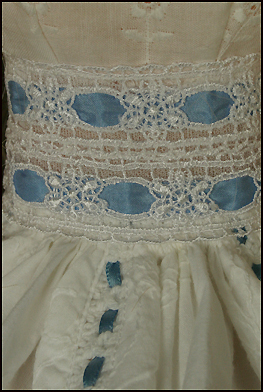 This dress is a soft islet with ribbon trim. 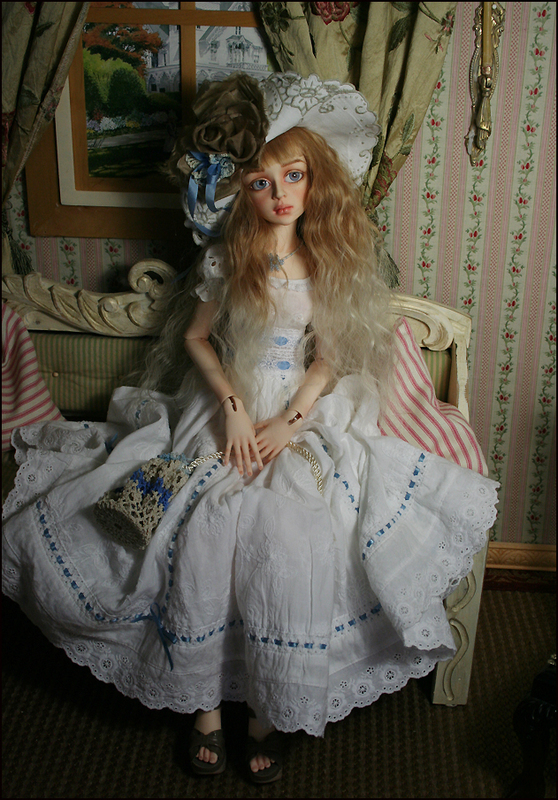 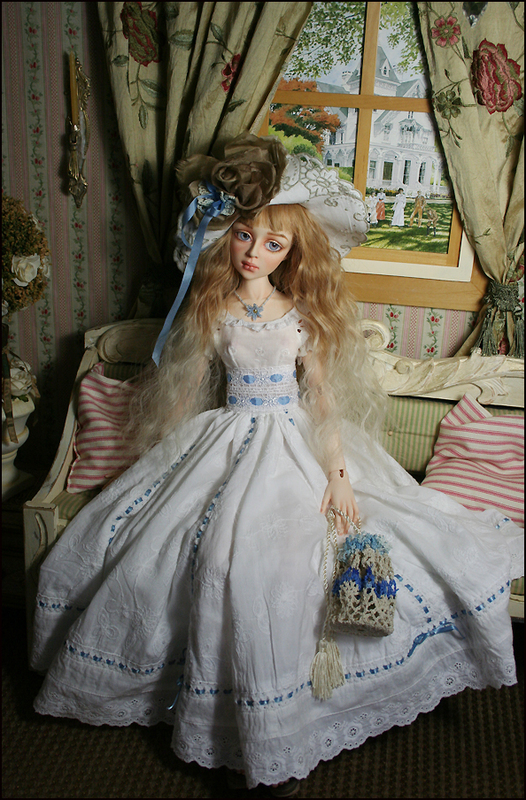 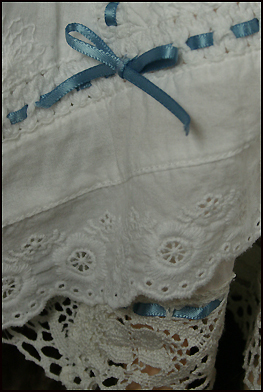 Her underskirt is cotton trimmed with lace. 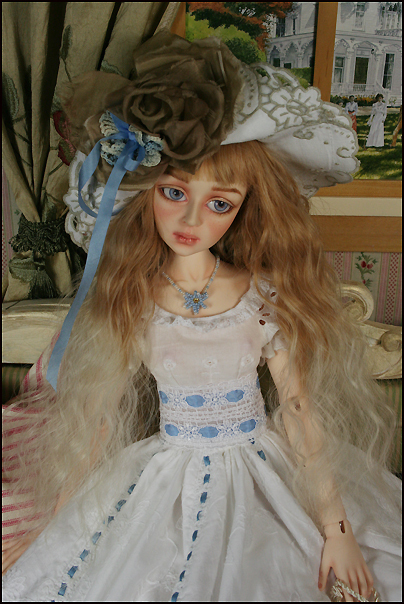 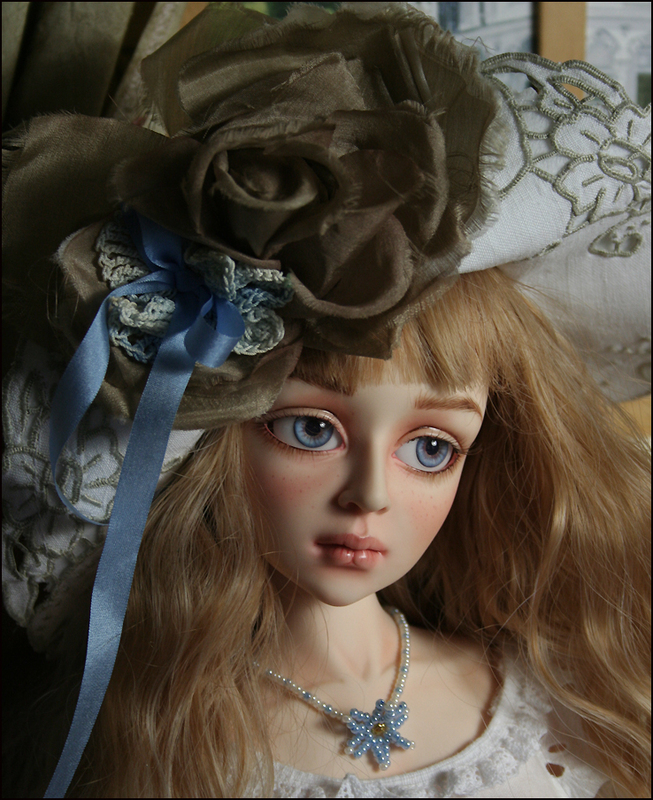 I made her hat from a embroidered doily and it is trimmed with silk ribbon and a silk flower. 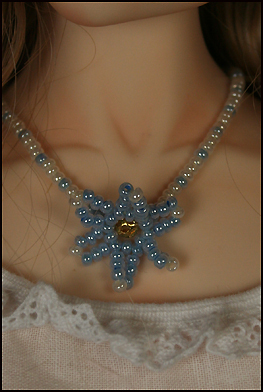 Tessa's necklace is glass beads. 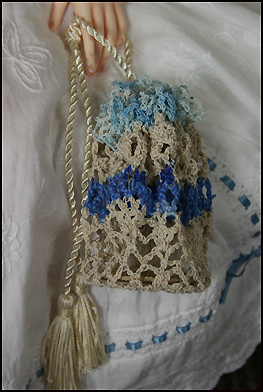 I made her hand bag from a crocheted doily. 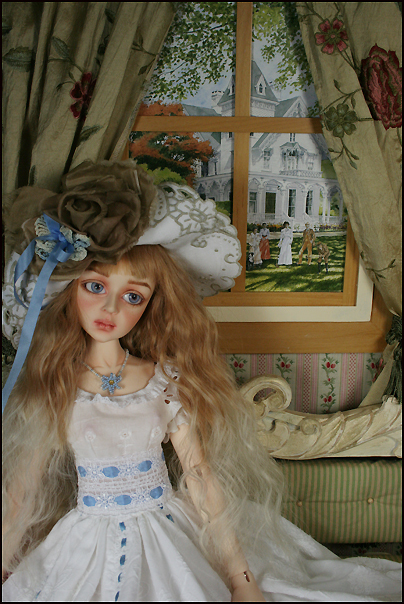 On her feet she wears shoes made by KZShoes (leather with polymer clay heels). 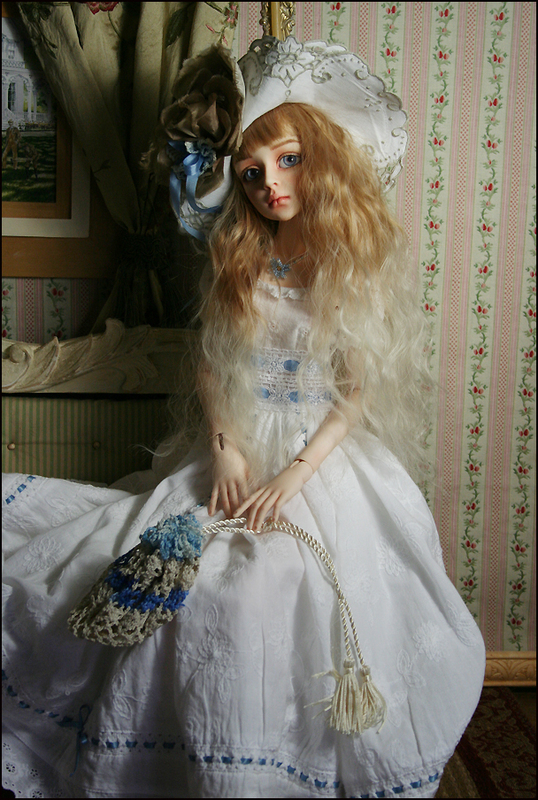 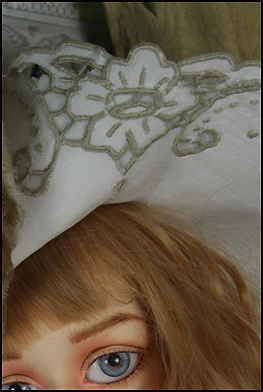 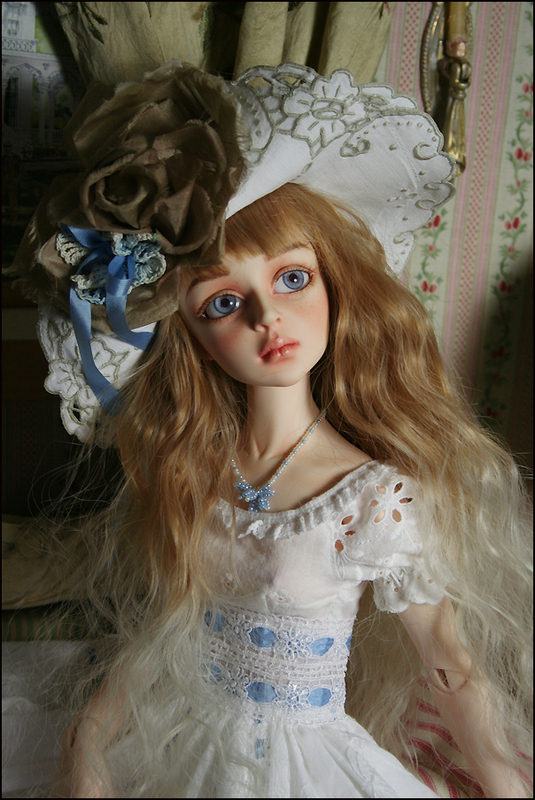 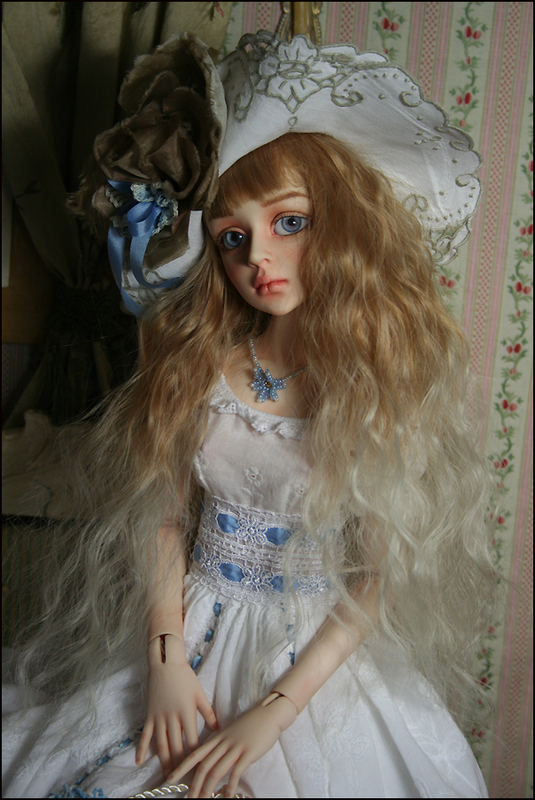 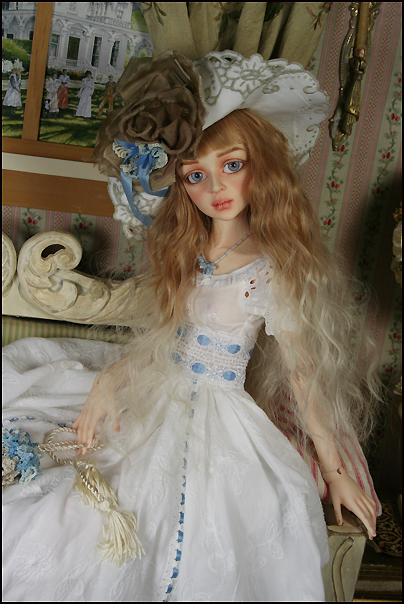 Her wig is from For My Doll and eyes Eyeco-Platinun series.